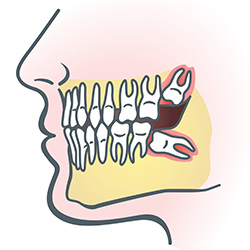 A bridge is a fixed prosthesis that fills the void of an edentulous space. It is composed of at least two abutments and a pontic (false tooth) for each tooth missing. Bridges can be fixed or removable. 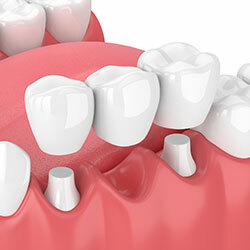 A fixed bridge is made of porcelain, is cemented on the surrounding teeth, and cannot be removed. 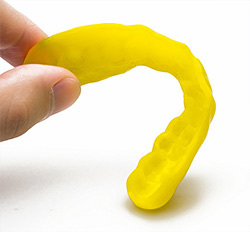 A removable bridge is made of plastic with no metal and can be removed. Getting a bridge at Hillside Dental Care is an easy process that takes two visits to our Beaverton office. First, Dr. Braxmeyer will prepare the adjacent teeth of edentulous space for crowns, take impressions, and place a temporary bridge. When your permanent bridge is finished, you will return to our office where Dr. Braxmeyer will seat it. With normal brushing and flossing, as well as professional cleanings at our Beaverton dental office twice per year, your bridge should be functional and beautiful for many years. Drs. Elise and Nathan Braxmeyer work with great lab technicians to maintain control over every step of the bridge-creation process. 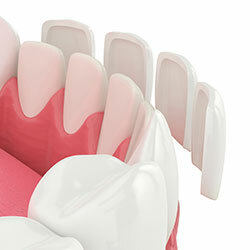 The result is bridges that look and feel great, and a standard of care goes above and beyond. Drs. Elise and Nathan Braxmeyer have provided the Beaverton community with beautiful, long-lasting crowns for more than eight years. Hundreds of patients have regained their oral health and confidence to smile because of crown restorations. Crowns are a great way to help stabilize a tooth, reduce the risk of the tooth breaking, and lessen the possibly of a tooth being lost. 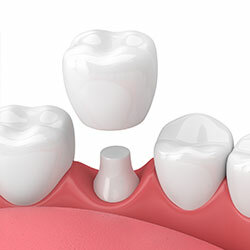 If the tooth is cracked, broken, or missing a significant amount of tooth structure from cavities or previous fillings, a crown is most likely the best solution. A crown can be made out of porcelain, metal, or a combination of both. 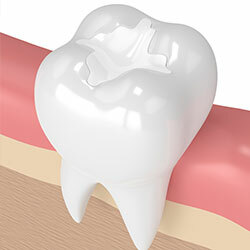 It is placed over your existing tooth, becoming the tooth’s new outer surface. During your first appointment at our Beaverton, OR dental office, Dr. Braxmeyer will discuss your treatment options—you will have the choice of a traditional crown or a CEREC® crown. If you choose a traditional crown, we will take an impression to send to our dental laboratory, where a technician will create your crown. Dr. Braxmeyer will place a temporary crown until your permanent crown has been created. During your second appointment, Dr. Braxmeyer will place your permanent crown and make any necessary adjustments to ensure the ideal function and aesthetics of your smile. If you choose a CEREC crown a digital impression will be sent to our in-office milling machine, which will create your crown from a solid piece of ceramic. CEREC crowns are permanently placed on the same day. Maintain optimal oral function and aesthetics with All-on-4 same-day teeth replacement at Hillside Dental Care. 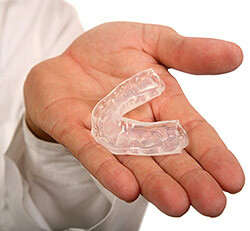 Using state-of-the-art technology, All-on-4 treatment replaces traditional dentures, which can be uncomfortable, inconvenient, and poorly fitted. All-on-4 turns problematic chewing and speaking into relics of the past. Traditional dentures are supported by a patient’s own bony ridge and tissue, which might not have the best retention. 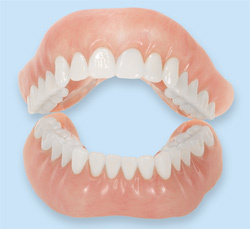 With All-on-4, the dentures are more retentive and secure because of the attachment to the implants. 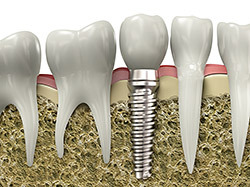 Using only four dental implants to attach a full dental restoration, Drs. Elise and Nathan Braxmeyer can give you the stable, functional, and cosmetic solution you've been looking for. Best of all, your dentures can be placed on the same day as your implants, so you don't have to wait to get the restored smile you deserve. All-on-4 reduces the need for bone graft surgery while ensuring greater stability in the existing bone. It can even be used for patients who have been told they do not qualify for implants due to bone loss. After your All-on-4 implant denture is placed, you should visit our Beaverton, ON dental office once a year so Drs. 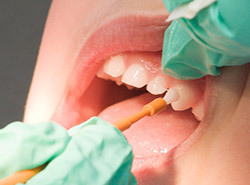 Elise and Nathan Braxmeyer can check the health of your gums and denture stability. To keep your mouth healthy and clean in between visits, clean thoroughly under the denture and follow any oral hygiene instructions given by your hygienist. At Hillside Dental Care, we work with some of the best specialists to get the best result for our patients. To learn more about All-on-4 implant dentures, schedule an appointment at our Beaverton dental office! Veneers are an easy, relatively non-invasive way to improve the aesthetics of your smile. They can be used to correct many tooth imperfections, including gaps, chips, stains, or misshapen teeth. Veneers look natural and, if taken care of properly, can last for many years. 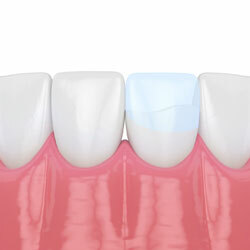 Veneers are made from porcelain and are designed to fit over the front sides of your teeth. In order to create your veneers, Dr. Braxmeyer will prepare your teeth to make room for the veneers and take an impression of your teeth so your veneers can be custom-designed to fit and look natural. Your veneers will then be permanently adhered to your teeth, and you’ll leave our office with the beautiful smile—and confidence—that you’ve always wanted. To maintain your veneers, you’ll need to brush, floss, and visit our Beaverton, OR dental office for twice-yearly checkups and cleanings. While veneers are stain resistant, you may want to avoid coffee, tea, red wine, and tobacco to maintain the beauty of your new smile.